Introduction. This Agreement between you and Floral Yellow Pages, Inc. and its affiliates ("Floral Yellow Pages") consists of these Directory Ad Standard Terms and Conditions ("Terms and Conditions"), the Directory Ad Program (the "Program") Frequently Asked Questions, which may be revised periodically, and the terms of any advertising campaign you submit or modify. "You" or "Advertiser" means any entity identified in an enrollment form submitted by the same or affiliated persons, and/or any agency acting on its (or their) behalf, which shall also be bound by the terms of this Agreement. These terms and conditions also apply to the advertising program known as �Directory Ad" in certain countries. 1. Uses; Partner Sites. You agree that your ads may be placed on any site owned or operated by Floral Yellow Pages (a "Floral Yellow Pages Web Site") on any site owned by a third party (a "Partner") with which Floral Yellow Pages has an agreement to place Directory Ad ads ("Partner Site"). Unless otherwise agreed to in writing by Floral Yellow Pages, any ads may be modified without your consent to comply with any policy of Floral Yellow Pages or any Partner Site. Floral Yellow Pages reserves the right to, and in its sole discretion may, at any time review, reject, modify, or remove any ad. The Partners may also have certain rights allowing them to reject, modify or withdraw ads placed under this Agreement. No liability of Floral Yellow Pages and/or any Partner shall result from any such decision. 2. Communications Solely With Floral Yellow Pages. Even if your ad(s) are placed on Partner Site(s), you agree to direct to Floral Yellow Pages, and not to any Partner, any communication regarding your ad(s) on any Partner Site. 3. Parties' Responsibilities. You are solely responsible for the content of your ads, including URL links. Floral Yellow Pages is not responsible for anything regarding your Web site(s) including, but not limited to, maintenance of your Web site(s), order entry, customer service, payment processing, shipping, cancellations or returns. 4. Prohibited Uses. Floral Yellow Pages strictly prohibits using the Floral Yellow Pages Web Site or any Partner Site(s) (i) to generate fraudulent impressions of or fraudulent clicks on Advertiser's ad(s) or third-party ad(s), including but not limited to using robots or other automated query tools and/or computer generated search requests, and/or the fraudulent use of other search engine optimization services and/or software; (ii) to advertise substances, services, products or materials that are illegal in any state or country where the ad is displayed; (iii) in any way that violates any policy posted on the Floral Yellow Pages Web Site, as revised from time to time; or (iv) to engage in any other illegal or fraudulent business practice under the laws of any state or country where the ad is displayed. You may not include links to any Web site(s) as part of your ad, unless the content found at such site(s) is relevant to your Target(s). You may not run multiple ads linking to the same or similar site on the same search results page. Violation of these policies may result in immediate termination of this Agreement without notice, and may subject you to state and federal penalties and other legal consequences. 5. Terminations; Cancellations; Renewals. Floral Yellow Pages may at any time, in its sole discretion, terminate the Program, terminate this Agreement, or cancel any ad(s) or your use of any Target Marketing tool. Except as set forth in Section 5 above or unless Floral Yellow Pages has previously canceled or terminated your use of the Program, Floral Yellow Pages will notify you via email of any such termination or cancellation, which shall be effective immediately. If you choose to cancel a Prepaid advertisement, no refund or credit will be issued for the either the used allotment of the advertising time or the remaining duration of the agreement. SIf you choose you no longer want to continue your advertising campaign with FloralYellowPages.com, you must notify us in writing via email at ypdirectoriesjessica@yandex.com. In your request please include your Name, Shop Name, and a phone number where we may contact you to confirm your cancellation. As of November 1st 2014 all advertising campaigns will be automatically renewed for your convenience. At any time you may call and opt out of our new renewal policy at 941-979-6351. There will be no refunds or credits issued for any reason. 6. Confidentiality. Each party agrees not to disclose Confidential Information of the other party without prior written consent except as provided herein. "Confidential Information" includes (i) ads, prior to publication, (ii) submissions or modifications relating to any advertising campaign, (iii) clickthrough rates or other statistics (except in an aggregated form that includes no identifiable information about you), and (iv) any other information designated in writing as "Confidential." It does not include information that has become publicly known through no breach by a party, or has been (i) independently developed without access to the other party's Confidential Information; (ii) rightfully received from a third party; or (iii) required to be disclosed by law or by a governmental authority. 7. No Guarantee. Floral Yellow Pages makes no written, oral or implied guarantee regarding the levels of impressions or clicks for any ad on its site or those of its Partners. 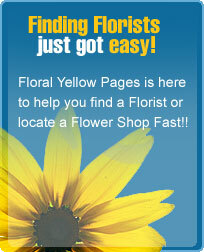 Floral Yellow Pages may offer the same advertisemetn to more than one advertiser. You may not receive any impressions for your ad(s) if for a given advertisement there are more advertisers than available display positions. 8. No Warranty. Floral Yellow Pages MAKES NO WARRANTY, EXPRESS OR IMPLIED, INCLUDING WITHOUT LIMITATION WITH RESPECT TO ADVERTISING AND OTHER SERVICES, AND EXPRESSLY DISCLAIMS THE WARRANTIES OR CONDITIONS OF NONINFRINGEMENT, MERCHANTABILITY AND FITNESS FOR ANY PARTICULAR PURPOSE. 9. Limitations of Liability; Force Majeure. In no event shall Floral Yellow Pages or any Partner be liable for any act or omission, or any event directly or indirectly resulting from any act or omission of Advertiser, Partner, or any third parties (if any). EXCEPT FOR THE PARTIES' INDEMNIFICATION AND CONFIDENTIALITY OBLIGATIONS HEREUNDER, (i) IN NO EVENT SHALL EITHER PARTY BE LIABLE UNDER THIS AGREEMENT FOR ANY CONSEQUENTIAL, SPECIAL, INDIRECT, EXEMPLARY, OR PUNITIVE DAMAGES WHETHER IN CONTRACT, TORT OR ANY OTHER LEGAL THEORY, EVEN IF SUCH PARTY HAS BEEN ADVISED OF THE POSSIBILITY OF SUCH DAMAGES AND NOTWITHSTANDING ANY FAILURE OF ESSENTIAL PURPOSE OF ANY LIMITED REMEDY AND (ii) Floral Yellow Pages's AGGREGATE LIABILITY TO ADVERTISER UNDER THIS AGREEMENT FOR ANY CLAIM IS LIMITED TO THE AMOUNT PAID TO Floral Yellow Pages BY ADVERTISER FOR THE AD GIVING RISE TO THE CLAIM. Each party acknowledges that the other party has entered into this Agreement relying on the limitations of liability stated herein and that those limitations are an essential basis of the bargain between the parties. Without limiting the foregoing and except for payment obligations, neither party shall have any liability for any failure or delay resulting from any condition beyond the reasonable control of such party, including but not limited to governmental action or acts of terrorism, earthquake or other acts of God, labor conditions, and power failures. In the event that you dispute any charges with your credit card company or bank for any reason, we may collect a fee of one hundred dollars from you to cover our administrative costs associated with processing the claim.� In the event that we are forced to turn over your account to a collections agency for payment on your account, you hereby agree to pay all costs associated with collection and the maximum rate of interest allowed by law. 10. Payment. You agree to pay all applicable charges under this Agreement, including any applicable taxes or charges imposed by any government entity, and that Floral Yellow Pages may change its minimum pricing at any time. If you dispute any charge made under the Program, you must notify Floral Yellow Pages in writing within thirty (30) days of any such charge; failure to notify Floral Yellow Pages shall result in the waiver by you of any claim relating to any such disputed charge. Charges shall be calculated solely based on records maintained by Floral Yellow Pages. No other measurements or statistics of any kind shall be accepted by Floral Yellow Pages or have any effect under this Agreement. 11. Representations and Warranties. You represent and warrant that (a) all of the information provided by you to Floral Yellow Pages to enroll in the Program is correct and current; (b) you hold all rights to permit Floral Yellow Pages and any Partner(s) to use, reproduce, display, transmit and distribute ("Use") your ad(s); and (c) Floral Yellow Pages and any Partner(s) Use, your Target(s), and any site(s) linked to, and products or services to which users are directed, will not, in any state or country where the ad is displayed (i) violate any criminal laws or third party rights giving rise to civil liability, including but not limited to trademark rights or rights relating to the performance of music; or (ii) encourage conduct that would violate any criminal or civil law. You further represent and warrant that any Web site linked to your ad(s) (i) complies with all laws and regulations in any state or country where the ad is displayed; (ii) does not breach and has not breached any duty toward or rights of any person or entity including, without limitation, rights of publicity or privacy, or rights or duties under consumer protection, product liability, tort, or contract theories; and (iii) is not false, misleading, defamatory, libelous, slanderous or threatening. 12. Your Obligation to Indemnify. You agree to indemnify, defend and hold Floral Yellow Pages, its agents, affiliates, subsidiaries, directors, officers, employees, and applicable third parties (e.g., all relevant Partner(s), licensors, licensees, consultants and contractors) ("Indemnified Person(s)") harmless from and against any and all third party claims, liability, loss, and expense (including damage awards, settlement amounts, and reasonable legal fees), brought against any Indemnified Person(s), arising out of, related to or which may arise from your use of the Program, your Web site, and/or your breach of any term of this Agreement. Customer understands and agrees that each Partner, as defined herein, has the right to assert and enforce its rights under this Section directly on its own behalf as a third party beneficiary. 13. Information Rights. Floral Yellow Pages may retain and use for its own purposes all information you provide, including but not limited to Targets, URLs, the content of ads, and contact and billing information. Floral Yellow Pages may share aggregate (i.e., not personally identifiable) information about you with advertisers, business partners, including syndication Partners, sponsors, and other third parties. If you elect to participate in the syndication program, the display of your ad on Partner Site(s) will provide access to Partner(s) to the content of your ads, including the URL(s), and any contact or other information that can be obtained through such URL(s), as well as data regarding queries or clicks on directory categories that may enable such Partner(s) to determine your Targets. 14. Miscellaneous. Any decision made by Floral Yellow Pages under this Agreement shall be final. Floral Yellow Pages shall have no liability for any such decision. You will be responsible for all reasonable expenses (including attorneys' fees) incurred by Floral Yellow Pages in collecting unpaid amounts under this Agreement. This Agreement shall be governed by the laws of Florida, except for its conflicts of laws principles. Any dispute or claim arising out of or in connection with this Agreement shall be adjudicated in Broward County, Florida. This constitutes the entire agreement between the parties with respect to the subject matter hereof. Any modifications to this Agreement must be made in a writing executed by both parties. The waiver of any breach or default of this Agreement will not constitute a waiver of any subsequent breach or default. If any provision herein is held unenforceable, then such provision will be modified to reflect the parties' intention, and the remaining provisions of this Agreement will remain in full force and effect. Advertiser may not resell, assign, or transfer any of its rights hereunder. Any such attempt may result in termination of this Agreement, without liability to Floral Yellow Pages. The relationship(s) between Floral Yellow Pages and the "Partners" is not one of a legal partnership relationship, but is one of independent contractors. This Agreement shall be construed as if both parties jointly wrote it. Additional Terms and Conditions to the Client Insertion Order for Floral Yellow Pages. Floral Yellow Pages agrees to display client�s Advertisement and provide the "link" from this ad to the location of the client's choice. This ad shall be displayed on specific pages of the chosen Association(s) Web Site. The client agrees to supply all pertinent information like: ad banner/Text and URL to link to etc. Client agrees to hold Floral Yellow Pages harmless for the content of their advertising and all links they provide access to. Floral Yellow Pages agrees to have the Advertisement posted within 7 business days following the registration and payment procedures on the website. MULTIPLE STATE ADVERTISING: The Floral Yellow Pages advertising sites are available on city-by city basis. You have the option to select local advertising (where applicable) within each state. This Agreement may, therefore, have multiple terms and anniversary dates running simultaneously and independently based on the Start Date for a particular campaign. CONTENT AND DESIGN : Floral Yellow Pages reserves the right to censor, reject, alter, or refuse any Advertisement that does not completely conform to rules Floral Yellow Pages has, or may adopt in the future. Floral Yellow Pages will not be liable, and will not provide free additional advertising time for client's failure or delay in providing required information. Floral Yellow Pages will accept advertising that Floral Yellow Pages solely feels reflects positively on the community and the industry. Floral Yellow Pages may, at its complete discretion, refuse any advertising. This Agreement is voidable by Floral Yellow Pages if Advertiser fails to disclose, conceals, and/or misrepresents the actual client and/or Advertisement. TRUTH IN ADVERTISING / INDEMNIFICATION FOR LIABILITY : Advertiser is solely responsible for any legal liability arising out of or relating to (1) the Advertisement, and/or (2) any material to which users can link through the Advertisement. Advertiser represents and warrants it holds the necessary rights to permit the use of the Advertisement and Link by Floral Yellow Pages for the purpose of this Agreement. Advertiser agrees to indemnify and hold Floral Yellow Pages harmless from any and all liability, loss, damages, claims, or causes of action; including reasonable legal fees and expenses that may be incurred by Floral Yellow Pages, arising out of or related to Advertiser's breach of any of the foregoing representations and warranties. If the space desired by the Advertiser is not available, a substitute option may be provided if available. There is no guaranteed placement or ranking for Client�s advertisement or listing. Floral Yellow Pages will make every attempt to accommodate Client�s requests but under no circumstances does Floral Yellow Pages promise, represent or guarantee the location of a Client�s advertisement or listing. From time to time, Floral Yellow Pages may change the location or placement of Client�s at its sole discretion without notice to Client. LIMITATION ON DAMAGES : In no event will Floral Yellow Pages be liable for any damages beyond the actual payments made for the current advertising period. ASSIGNMENT : Advertiser may not assign this agreement, in whole or in part, without Floral Yellow Pages' written consent. Any attempt to assign this Agreement without such consent will not be honored. GOVERNING LAW : This Agreement will be governed by and construed in accordance with the laws of the State of Florida. ENTIRE AGREEMENT : This Agreement, all exhibits and attachments, are the complete and exclusive agreement between the parties with respect to the subject matter hereof, superseding and replacing any and all prior agreements, communications, and understandings (both written and oral), regarding such subject matter. All pricing will be governed by Floral Yellow Pages' Pricing Information; whether printed on paper or electronically. The terms and conditions of this Agreement will prevail over any contrary or inconsistent terms in any purchase order. This Agreement may only be modified, or any rights under it waived, by a written document executed by both parties. CANCELLATION RIGHT: Floral Yellow Pages may cancel this Agreement at any time and for any reason. In the event that Floral Yellow Pages cancels this Agreement with Client, Floral Yellow Pages�s liability shall not exceed the amount of any prepayment made by Client. This agreement shall be governed by the laws of the State of Florida. Both the Client and Floral Yellow Pages agree that any legal proceeding or filing shall be made in the State of Florida , Broward County . This agreement cannot be orally changed, amended or terminated, and no provision or requirement hereof may be orally waived.